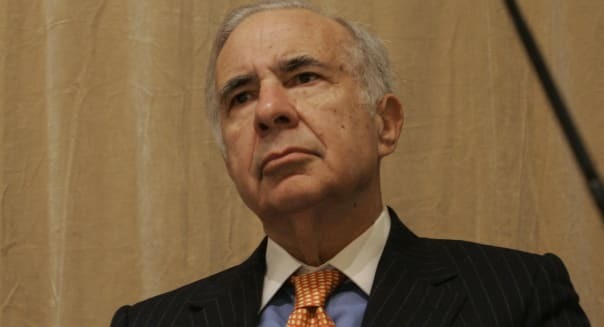 AP/Shiho FukadaActivist investor Carl Icahn loves to give advice to public companies. But this week, his advice for eBay felt a couple of years behind the curve. Companies can make brilliant moves, but there are also times when things don't work out quite as planned. From a classy handbag maker carrying its latest financials to market, to a blowout report by the leading streaming video service, here's a rundown of the week's best and worst in the business world. Netflix was last year's top performer among S&P 500 stocks, and it's off to another strong start in 2014. Shares of the leading video service hit another all-time high this week after it posted blowout quarterly results. Netflix closed out the year on a strong note with more than 44 million streaming subscribers worldwide and expanding profit margins. It expects to top 48 million streaming members by the end of March. Strong financial results naturally make you a winner, but Netflix also got the market excited by announcing that it will soon offer a variety of pricing plans. More importantly, it's suggesting that it may eventually increase the price of its basic $7.99 a month plan. Luxury handbags are still selling, but Coach totes aren't faring as well. The iconic maker of high-end purses and accessories posted disappointing quarterly results on Tuesday. Sales declined by 6 percent during the seasonally potent holiday quarter, and net income took an even bigger hit. Foreign currency translations weighed on the results, but sales still would have been lower if there weren't any currency fluctuations. %VIRTUAL-article-sponsoredlinks%Coach investors shouldn't be surprised. Sales, net income, and store-level comparable sales also slipped three months earlier. It's not the niche. Michael Kors (KORS) has been able to post healthy double-digit growth through the gradual fade in prominence at Coach. Music streaming has become popular, and that's big for the music industry. CD sales peaked more than a decade ago, and last year was the first year that we saw MP3 sales decline. Royalties from streaming music is a big driver for the industry these days, and on Tuesday we saw the debut of Beats Music. %VIRTUAL-article-sponsoredlinks%Beats Music is notable because of its celebrity execs. Dr. Dre, Nine Inch Nails' Trent Reznor, and iconic music producer Jimmy Iovine are some of the big names behind this platform, which aims to raise the bar by providing curated playlists based on highly customized preferences. It's not a free service, though naturally it's kicking things off with free trials. Beats Music is also teaming up with AT&T (T) to offer a discounted family plan for AT&T Wireless customers. That's one way to stand out in a crowd. Billionaire activist investor Carl Icahn took aim at eBay (EBAY) earlier this week, arguing that the online marketplace giant would be better off it if spun off PayPal. It's true that PayPal is the star at eBay. It has been for years. However, this suggestion would've made more sense a couple of years ago when eBay.com was struggling. Shortly after Icahn's suggestion, eBay reported healthy double-digit growth at both PayPal and its marketplace division. Yes, PayPal's 19 percent pop in revenue is better than the marketplace's 12 percent advance. However, Icahn is going to have a hard time convincing the market that eBay should divest itself of PayPal at a time when its two primary businesses are holding up just fine. On the bright side, Icahn also disclosed that he increased his stake in Apple (AAPL) by $500 million. That's not a bad idea at a time when Apple is getting ready to report quarterly results next week. Analysts see this as the first quarter in nearly a year that Apple grows its revenue and earnings per share. Casual dining has had a rough holiday quarter. Between December's wintry blasts and the growing popularity of fast casual chains, traditional table service restaurants have been struggling lately. Brinker International's (EAT)bucked the trend by posting sales growth, positive comps, and expanding profit margins. These are three things that investors didn't see at Red Lobster or Ruby Tuesday (RT) in recent weeks. As a welcome bonus, Brinker's smaller Italian concept -- Maggiano's Little Italy -- posted another period of positive comps. The family-style restaurant has come through with 16 consecutive quarters of positive comparable restaurant sales growth. At least some of the casual dining chains are still cooking.